You can use AFerry to book Fujian Cross Strait ferries between Pingtan, Taipei and Taichung. See below for the latest Fujian Cross Strait Ferry prices and sailing times. Click on your ferry route for a detailed Fujian Cross Strait Ferry timetable with arrival and departure times. 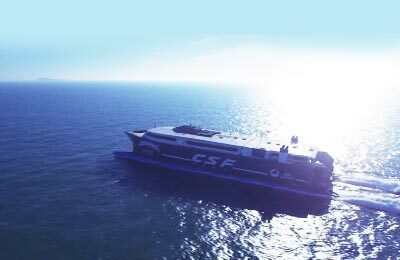 Fujian Cross Strait Ferry's ship is called HaiXia, and can hold 760 passengers and 260 cars. The ship also provides passengers with entertainment and relaxation facilities. The passenger deck has a cafe, gift shop, a play area for children and lounges. How long before departure should I arrive for Fujian Cross Strait Ferry?